To assess this accusation, we must first ask, what is meant by “cosmopolitan”? The word is a translation from a Greek term introduced by Diogenes the Cynic in the 4th century B.C., who said, “I am a citizen of the world [kosmopolitês]” This notion became important in Stoic thought, and readers interested in the Greek idea of the “cosmic city” will find in Malcolm Schofield’s The Stoic Idea of the City a valuable guide. The term often means something else today. Cosmopolitans, in this sense, oppose traditional values. They propose to liberate people from “old-fashioned” morality and wish to promote the interests of feminists, homosexuals, and the transgendered, as well as ethnic groups they regard as oppressed. They are “multicultural” and deplore undue stress on the West, as against other cultures. All peoples and cultures are equal, except of course for the oppressive West. They wish to spread what they call “tolerance” all over the world, and view customs they oppose as obstacles to be eradicated. 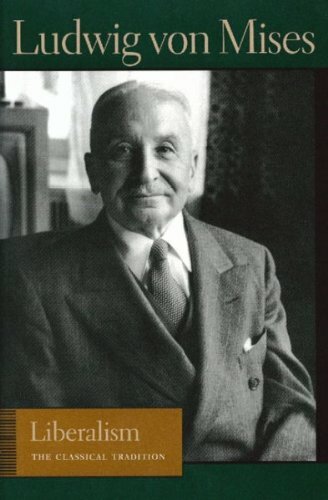 It is clear that Mises was not a “cosmopolitan” in this new and extended sense. When Mises in Liberalism talks about cosmopolitanism, he has in mind a fundamental point in his social theory. Everyone benefits through peaceful and cooperative exchange on the free market. With social cooperation through the market, human beings are no longer locked in a struggle in which the gain of some comes at the expense of others. Interference with the free market impedes peaceful cooperation and should be opposed by those who want peace and prosperity. 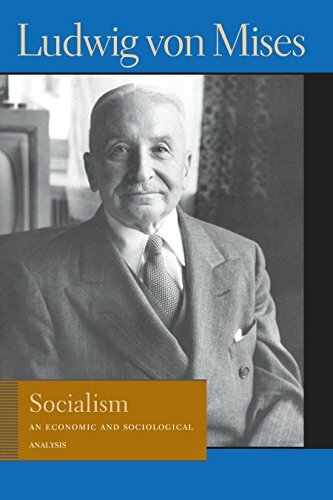 Liberalism: The Classi... Ludwig von Mises Best Price: $8.14 Buy New $13.76 (as of 06:00 EDT - Details) Mises’s remarks about nationalism depend on this basic insight. He opposed trade restrictions and other policies like currency devaluation by which one nation tried to gain at the expense of others. As always for Mises, social cooperation through the free market was of primary importance. Mises did not oppose the self-determination of peoples. To the contrary, he favored it. He cited with approval Ernest Renan’s famous definition of a nation as a “daily plebiscite”: people in a national group have the right to form an independent state. Incidentally, Mises used Renan’s phrase in his account of consumer sovereignty. No one who reads Mises’s Notes and Recollections can be in any doubt that he cared very deeply for the survival of an independent Austria. Exactly the same principle lies at the heart of Mises’s discussion of race. For Mises, the Darwinian struggle among animals does not apply to human beings, who can cooperate productively regardless of race. Mises strongly opposes eugenics, another ill-thought-out measure of interference in the market. However, he also rejects accounts of history based on racial struggle. In sum, Mises’s cosmopolitanism is just the free market, no more and no less. Thus, it would be silly to think that anyone at the Mises Institute opposes the free market. If, though, we at the Mises Institute count as cosmopolitans in Mises’s sense, have we acted against what he taught by alliances with illiberal persons and groups? Precisely the opposite is the case. Mises was on friendly terms with Monsignor Seipel, the Christian Social Party Chancellor of Austria, supported the authoritarian government of Engelbert Dollfuss, and joined the Patriotic Front, an organization that Dollfuss founded. After he moved to the United States, Mises became a member of the Editorial Advisory Board of American Opinion, published by Robert Welch of the John Birch Society, and wrote an article for it, “On the International Monetary Problem” (March 1967). In Liberalism, Mises says, “The ultimate ideal envisioned by liberalism is the perfect cooperation of all mankind, taking place peacefully and without friction.” This is exactly what we favor at the Mises Institute.